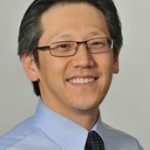 Dr. Kim is currently an assistant professor in the departments of internal medicine and pediatrics at the University of Michigan. Kim is a practicing hospitalist, and also works in the offices of the faculty group practice and clinical affairs, where he works on several health system projects to improve the safety, quality, and efficiency of clinical care delivered in the health system. He is the physician lead for the health system’s efforts to improve transitions of care out of the hospital. He is also the program director for the Blue Cross Blue Shield of Michigan’s Physician Group Incentive Program on transitions of care, called Michigan Transitions of Care Collaborative (M-TC2). Kim holds a medical degree from the University of Chicago’s Pritzker School of Medicine and a Master of Business Administration from the University of Chicago’s Booth School of Business.